OpTic Gaming, Enigma6, Red Reserve, and Elevate will face off this weekend in Columbus. The final week of the biggest league in Call of Duty is here—and some would say the best was saved for last. The four remaining teams in the Call of Duty World League Global Pro League will travel to Columbus, Ohio tomorrow to compete for a spot in the $700,000 playoffs. For the past three weekends, four teams have traveled to the MLG Arena in Columbus to battle it out in the first professional LAN league in Call of Duty history. In the first week, Team EnVyUs topped the Red Group, while Evil Geniuses and FaZe Clan emerged victorious in the Blue Group during the second week of play. Last week, eUnited and Luminosity Gaming continued the trend of North American dominance by securing the top two spots in the Yellow Group. Now, the stage is set for the final week of action. The Green Group features arguably the best team in Call of Duty: Infinite Warfare, as well as a team of young rising superstars and two strong European squads. Each team in this group will face off against the other squads twice. The top two teams in this group will earn a spot in the season one playoffs, while the top three teams qualify for season two of the CWL Global Pro League and the 2017 Call of Duty World League Championship in August. On the other hand, the team that comes in last place in this group will fight for their spot in the second season of the CWL GPL at the relegation tournament in June. 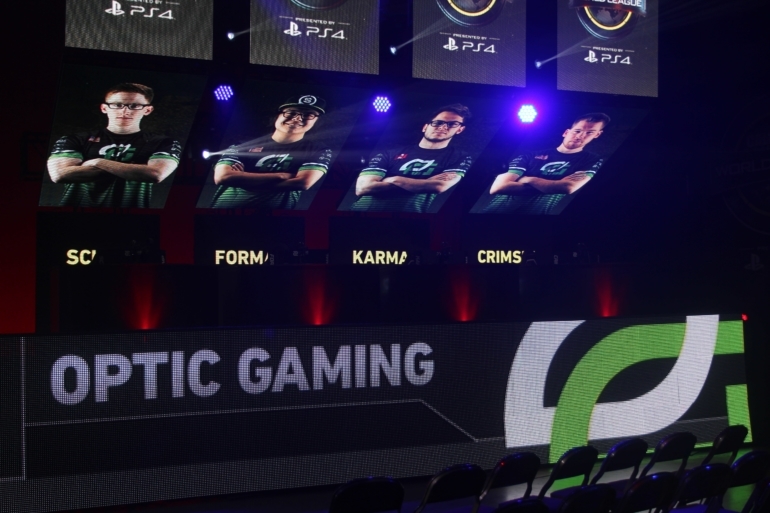 OpTic enters the CWL GPL as the overwhelming favorites. Although they didn’t get off to an ideal start to the Infinite Warfare season, a small adjustment in making FormaL the in-game leader has greatly helped this team win the past two international LAN events. Realistically, the Green Wall should have no issues taking first place in this group. Red Reserve is one of the strongest teams in Europe. This roster has two consecutive top-six finishes on LAN—first at the CWL Dallas Open in March and most recently at the CWL Birmingham Open in April. With the veteran leadership of Joee, Red Reserve will look to join Splyce as the second European team in the season one playoffs. The young-guns on Enigma6 enter this weekend’s competition trying to make a statement. The team has been very successful online this year, but has only cracked the top eight once on LAN so far in Infinite Warfare. General will look to “do it all” and carry Enigma6 to a top-two finish this weekend. Finally, it almost seems like Elevate is destined to struggle this weekend. The team reportedly hasn’t been able to practice much recently, which could greatly impact their play at the CWL GPL. But, with talented Search and Destroy players like Reedy and Rated, Elevate could turn some heads this weekend and pull off a few upsets. All CWL Global Pro League matches can be watched on MLG.tv’s Enhanced Viewer Experience, which now includes Featured POV Streams of individual players. Below, you can find the times for all of the matches that have already been scheduled for this weekend. The game modes and maps being played in each series can be found on the MLG website. Will OpTic Gaming dominate this group as expected, or can Enigma6 or Red Reserve shock the Call of Duty community by taking first place? We’ll find out when matches start tomorrow afternoon.